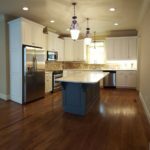 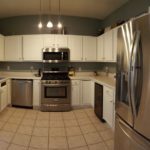 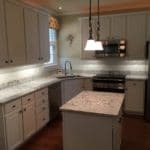 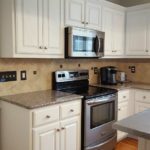 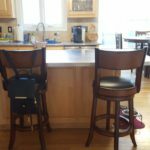 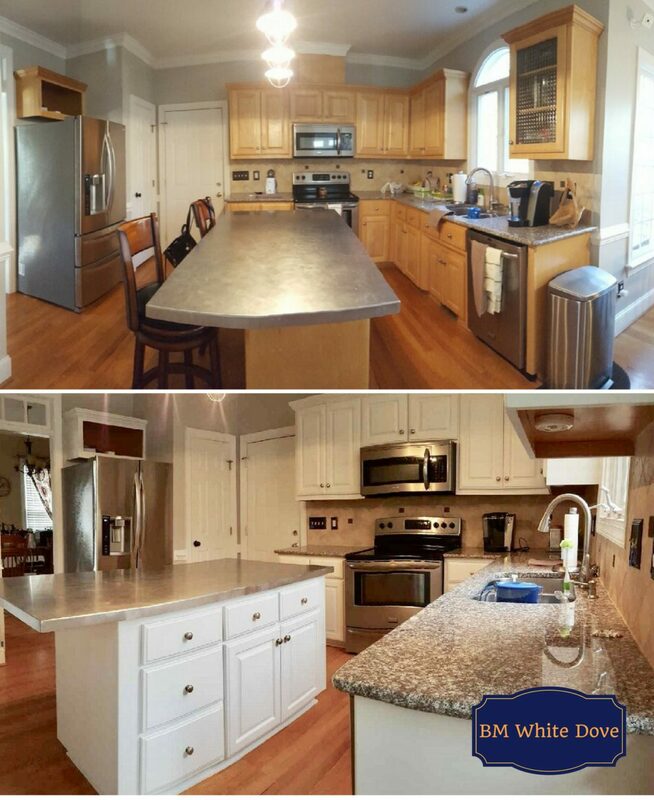 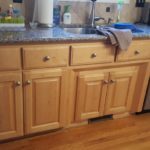 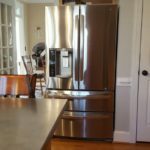 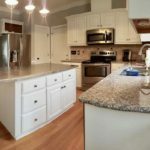 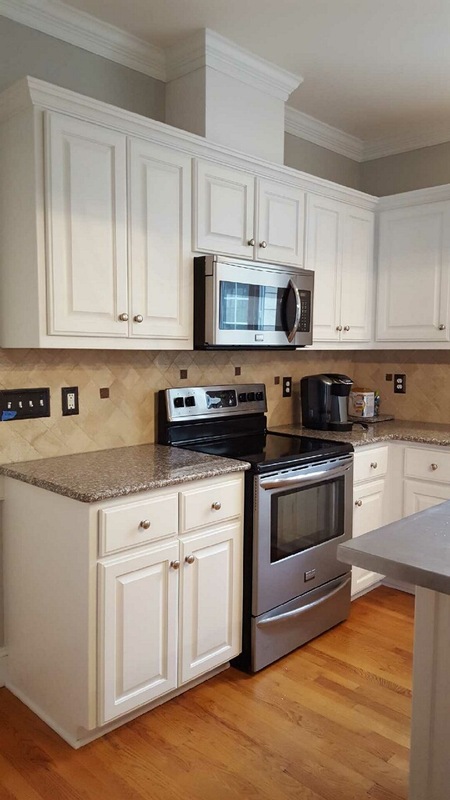 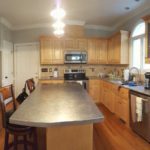 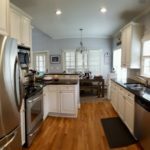 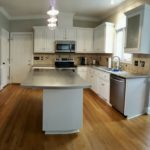 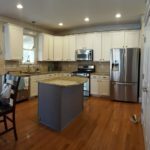 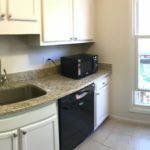 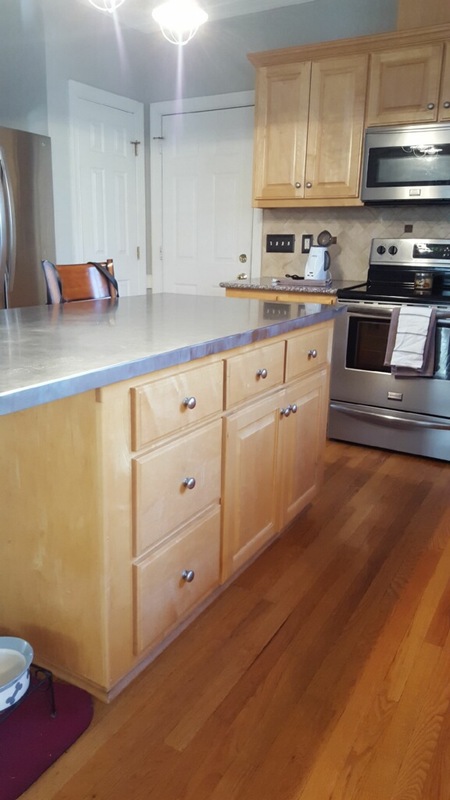 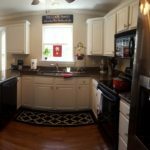 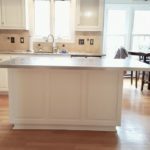 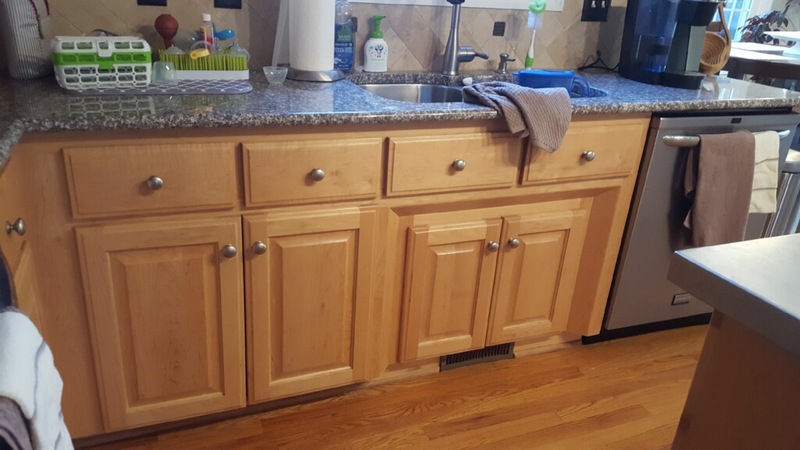 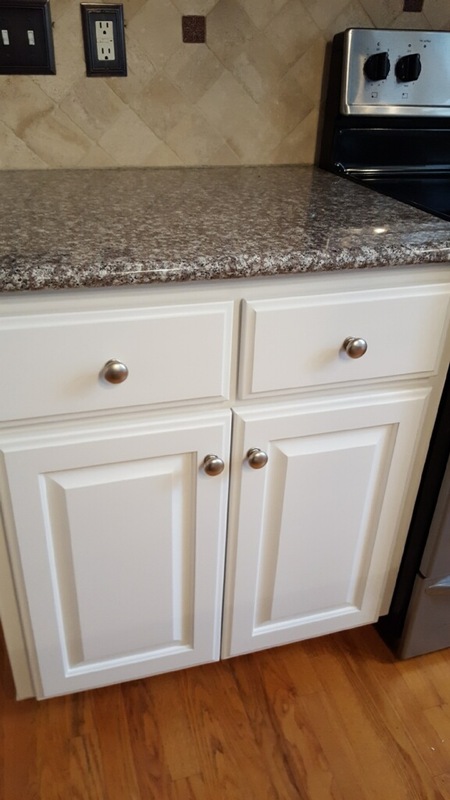 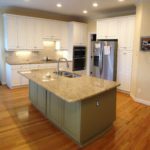 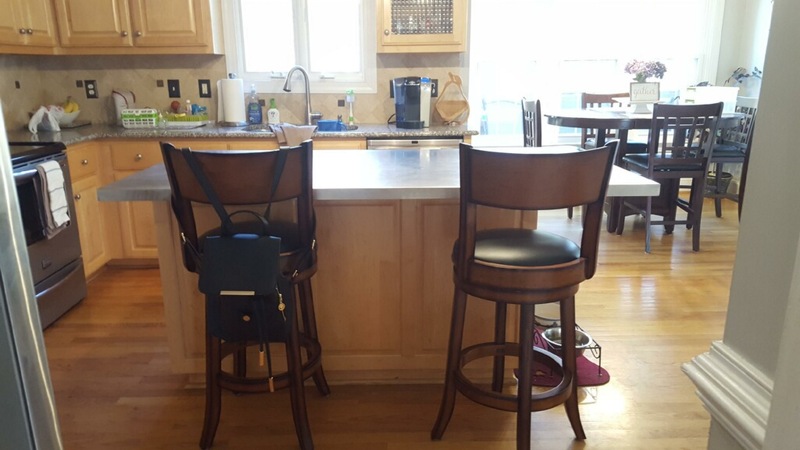 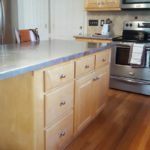 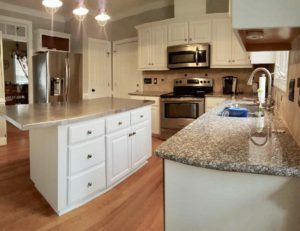 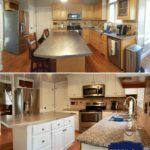 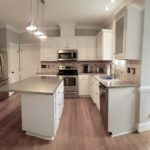 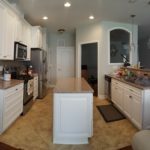 This kitchen only needed the tiniest tweak to make it spectacular and homey – changing the color of the cabinets. 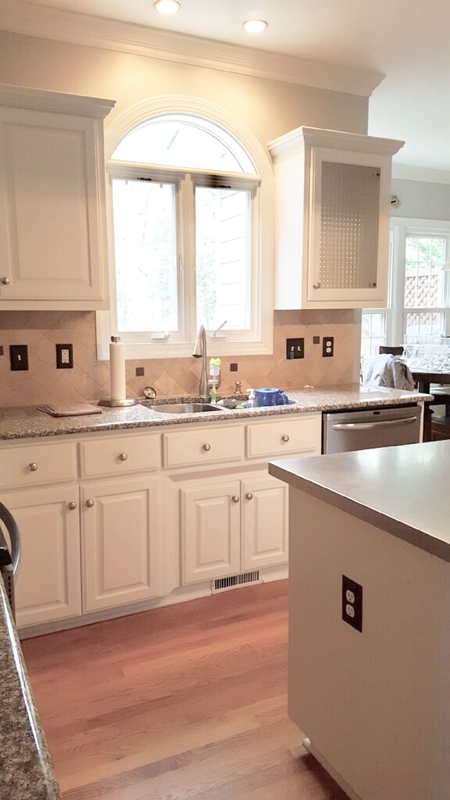 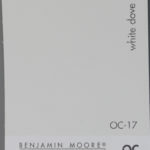 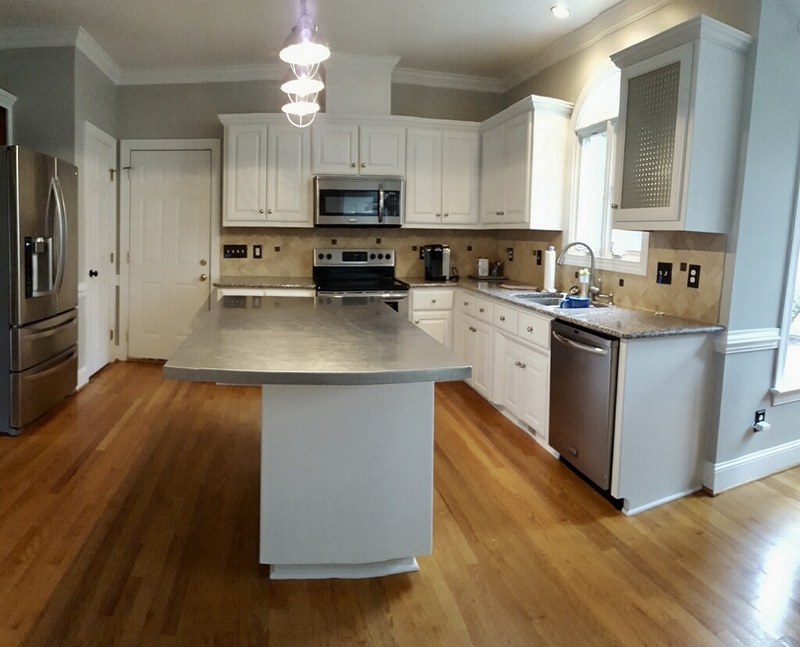 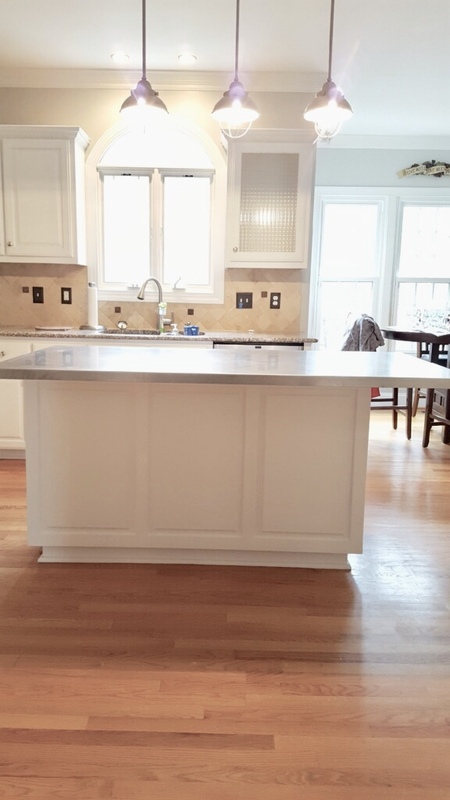 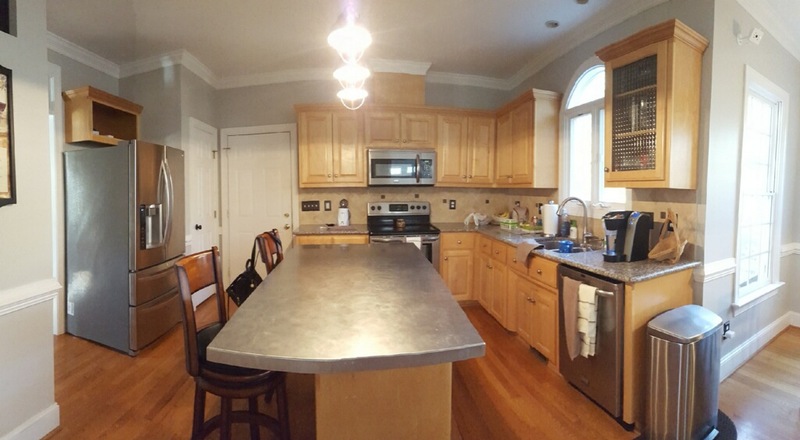 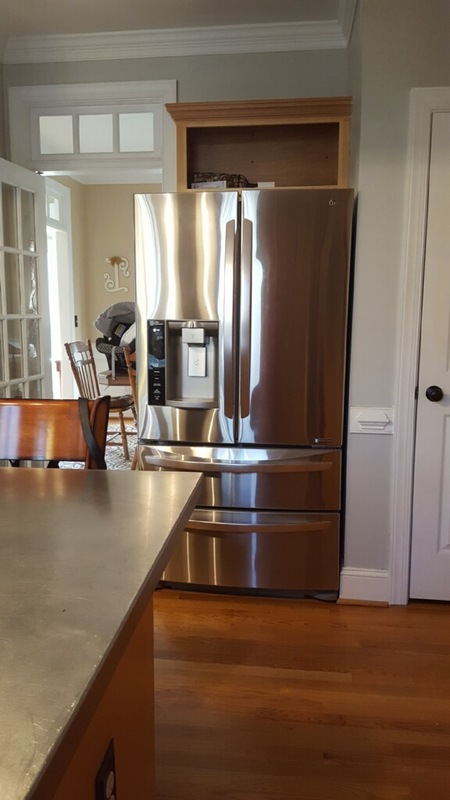 Our homeowner chose Benjamin Moore White Dove. 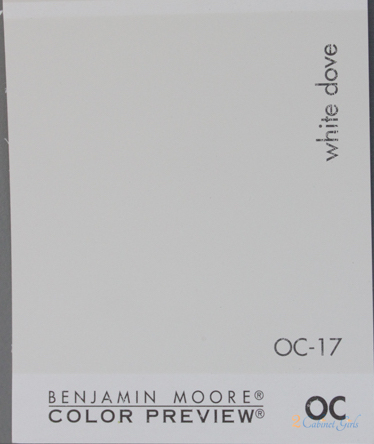 It’s a super creamy white. 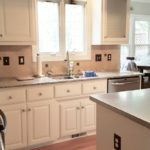 Not too bright, not too yellow. 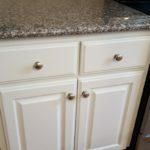 Think coffee creamer! 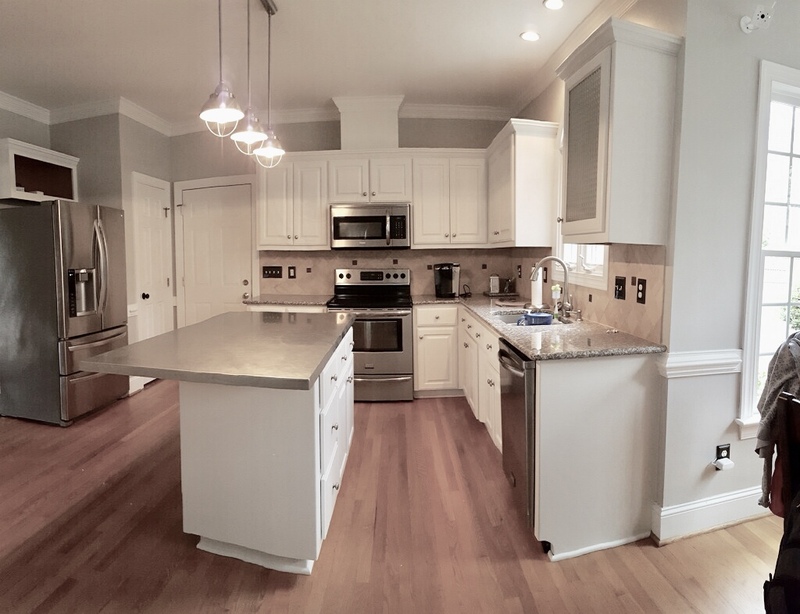 This light color helped create a warm and open space and now it coordinates perfectly with the trim.